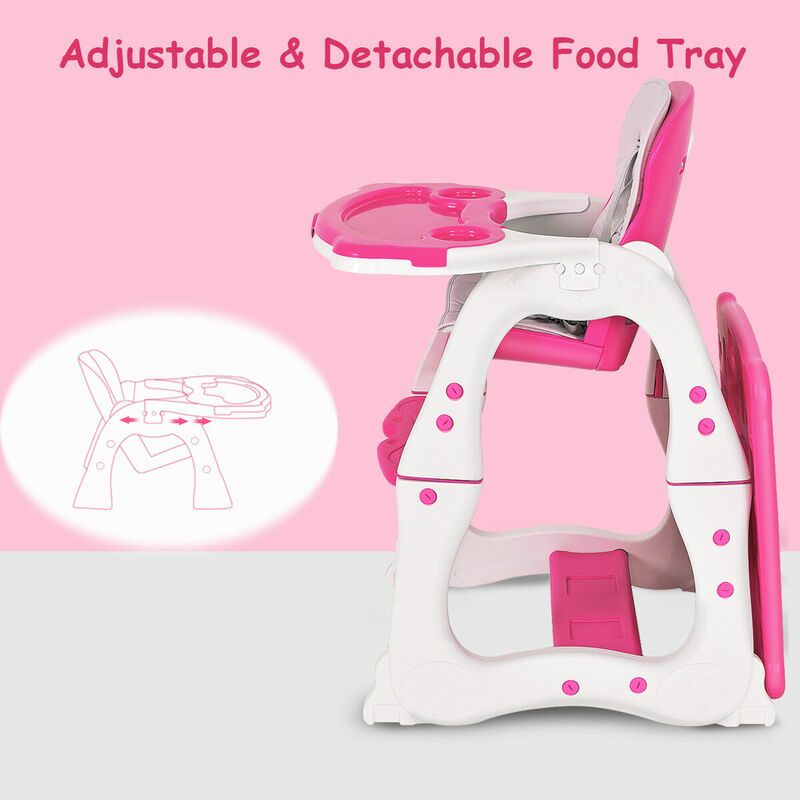 This is our brand-new Multi-functional baby highchair. 3 position adjustable front tray, 3 position, reclining, adjustable seat. 5 point harness system. 2 trays. Regular tray and removable, dishwasher safe insert tray. Removable tray includes two cup holders and large main compartment. Main tray features one spacious, indented compartment. Removable, washable seat pad (100 percent polyester fabric with polyester foam padding). For use from 6 months (when your child can sit unassisted) and up in the highchair, and approximately 4 years when converted to a play table and chair. Competitive Price With High Quality Can Be Realized Here. Feeding Tray Size:21" x 11.4" x 14"